With WrestleMania 35 less than a month away, the WWE Universe is on full alert. The anticipation is phenomenal and the WrestleMania card is going to be remarkable this year with women wrestlers possibly main eventing the showcase of the immortals. With every WrestleMania comes WrestleMania weekend. This also means that WWE Hall of Fame 2019 will be happening as well a day before WrestleMania. The WWE Hall of Fame has had its notable inductees and there are those that are completely out of left field. There are WWE Superstars who may never get into the Hall of Fame because of ongoing legal disputes or for leaving on bad terms with Vince McMahon. But Mr. McMahon has always found a way to let bygones be bygones and bury the hatchet. And as the Adele 'Hello' song goes, 'Time supposed to heal ya,' Vince seems to believe in this and has proven it time and again. Some would say he has done it for business reasons, others say its good public relations for the WWE. Some of the inductees are baffling, to say the least. The criteria for getting into the WWE Hall of Fame has never been made clear. With that being said, here are 10 WWE Superstars fans didn't expect to see in the WWE Hall of Fame. The Macho Man has been a large part of WWE History and he was very much part of the WWE golden era of wrestling in the 1980s. He had legendary feuds with Hulk Hogan and Jake 'The Snake' Roberts and was a great WWE heel as well as a face. His match with The Hulkster at WrestleMania 5 was considered as one of the highlights of WrestleMania history. After WrestleMania 7, Randy Savage was regulated to color commentary. This led to Randy Savage leaving WWE in 1994 for WCW as he felt he has more to offer in the ring. This led to a strained relationship with Vince McMahon as well as an absurd urban rumor regarding him and Stephanie McMahon. 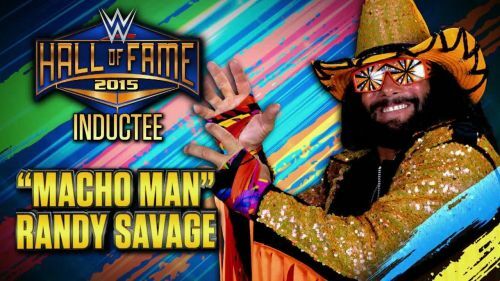 While Macho Man didn't officially make amends with Vince, having died on May 20, 2011. But in due time, WWE inducted him into the WWE Hall of Fame in 2015. For years, the WWE Universe didn't think it would happen but the induction was well deserved.